Replacement 2007 Ford Focus Radio Wiring Harness; Quantity: 2; OEM comparable. Pre-matched connections, no need for splicing or cutting. ; High quality electrical wiring for long-lasting reliability. ; Multi-colored wires for foolproof installation. ; Some functions like Steering Wheel Controls, speed sense, ext. may not be supported. 2-Pack 2007 Ford Focus SE Wagon 5-Door 2.0L Radio Wiring Harness Replacement - Car Stereo Connector Cap and insulate all unused wires individually to prevent short circuits. 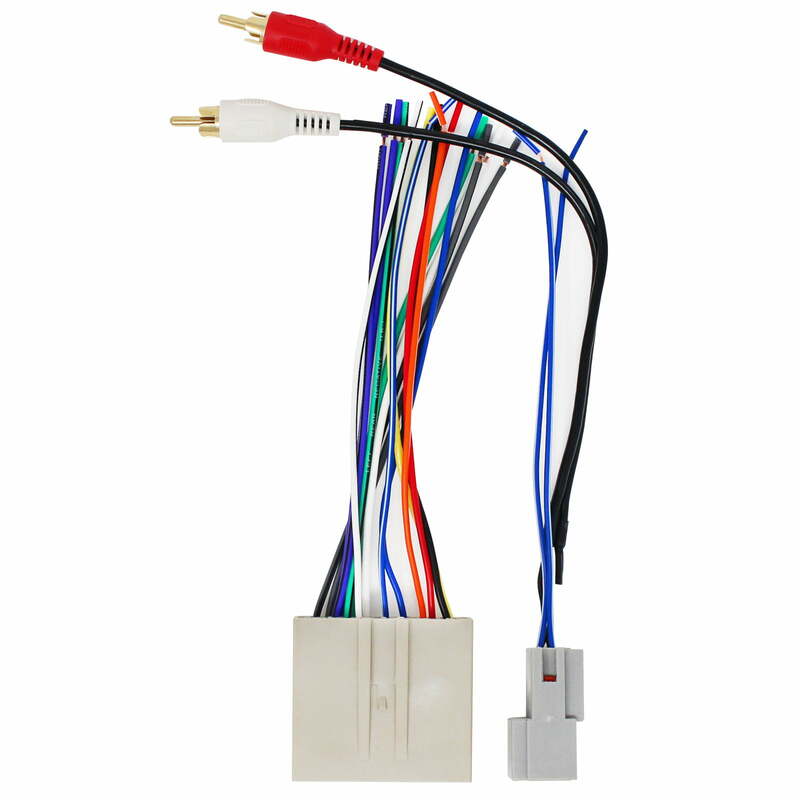 This wiring harness may not include all wire colors listed above. We are not responsible for any damage caused by improper installation. We do not offer technical support on installation, or trouble shooting. We are not responsible for any damage caused by defective products or loss of use, uninstall/reinstall charges that may be incurred due to defective products. We strongly encourage professional installation of any electronic devices. . Please note: This is an UpStart Components brand replacement part, not an OEM product. This product is not affiliated with any OEM brands and is not covered under any warranties offered by the original manufacturers. Any warranties for this product are offered solely by Upstart Components. All mentions of brand names or model descriptions are made strictly to illustrate compatibility. All brand names and logos are registered trademarks of their respective owners.